We dropped off our most recent guests Art and Carol at the Geneva Airport this morning. 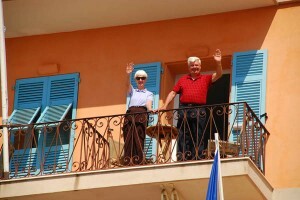 Art and Carol are now planning their fifth adventure with European Focus, to take place in September, 2012. The next trip will include the Tirol of Italy and Croatia. Jenean and Jim will be scouting locations in Croatia in July in order to prepare for this and other future trips to this exciting area. Posted in Europe Tours, France Tours and tagged art and carol, villefranche.